okay, so here is the little present i made for J! it's a little hand-sewn book. he writes. the covers are chipboard covered with sticky back canvas from Claudine Hellmuth, painted with the studio paints and embellished with Tim's Idea-ology things. the pages are all cut from a large sheet of beautiful paper from the art store, coloured with the Ranger distress inks and spritzed and flicked, then stamped with distress inks, some tages added with stamped texts or handwritten and some personal (not on show hihi!). i am certainly going to make this kind of little book again, must say that the sticky canvas is so easy to use for covering! piece of cake! and i am still very much in love with the studio paints, i got al the colours now! what a luxury!!! 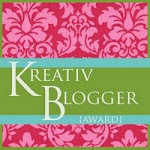 i will pass the blog award on tomorrow! today i am going to draw! i have started to try men's faces, here is one i did last night, the shading is a bit rough, i was working in bad lighting so i'll smooth that out later, and i need to work on the hair more but i think you can see it's a man, heavier chin, wider face, eyebrows and nose are different... not easy to do when i've only done girls up to now! i think he turned out pretty okay really hihi! have a great day, the Sun is nowhere to be seen here today so i'm just going to make myself a nice hot cup of tea, put some music on and pretend it's beautiful weather. I love it-it's awesome! You did a great job and it was fun I bet. Boys are a bit tougher aren't they?! Looking good! Ik heb je techniek met frosted embossingpoeder en perfect pearls gebruikt in het CJ van croptime. Is aardig gelukt moet ik zeggen. Love the book, Tanya!! As I'm sure J did as well!! I wonder what he'll start off writing about now?? Beautiful job!! Love how you used the Tim Holtz ideaology pieces and the Claudine Hellmuth supplies!! Tanya, that book is gorgeous! !